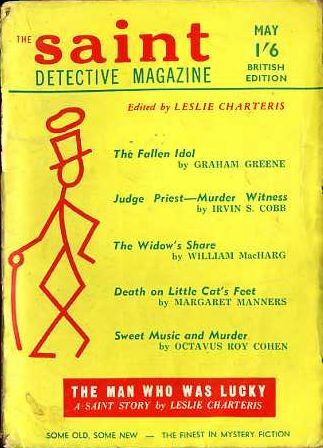 The UK edition of this which appeared two months later (v5 #5, March 1959) is identical. Details taken from Table of Contents. 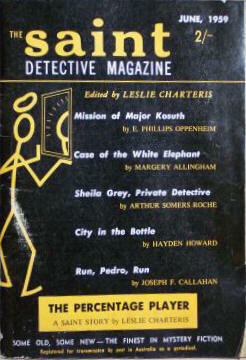 Issue not found - probably identical to the April 1959 (UK) issue. Issue not found - probably identical to the May 1959 (UK) issue. Issue not found - probably identical to the June 1959 (UK) issue. Issue not found - probably identical to the July 1959 (UK) issue. 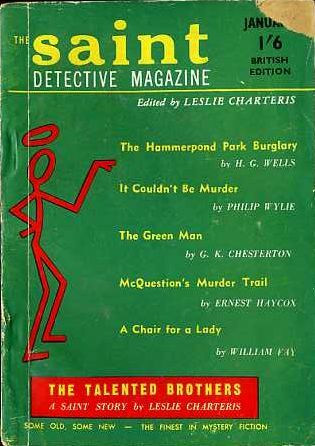 The UK edition of this which appeared two months later (v5 #10, August-September 1959) is identical. Details taken from Table of Contents. 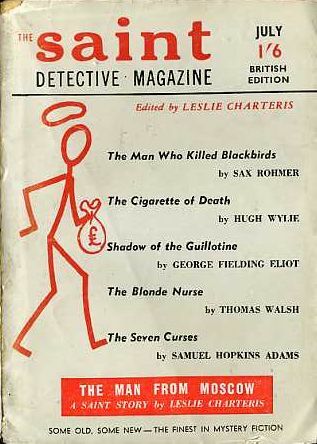 The UK edition of this which appeared four months later (v5 #12, November 1959) is identical. Details taken from Table of Contents. The UK edition of this which appeared four months later (v6 #1, December 1959) is identical. Details taken from Table of Contents. 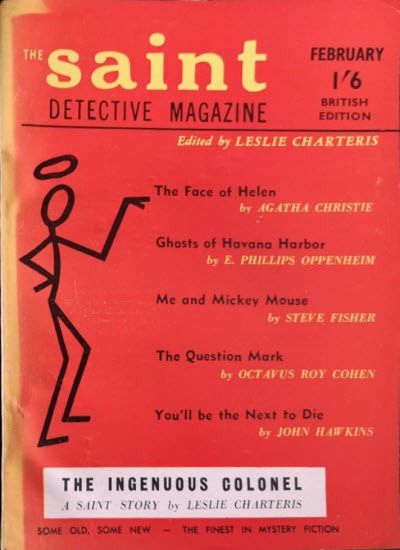 4 · The Golden Journey [Simon Templar (The Saint)] · Leslie Charteris · nv Harpers Bazaar Sep 1934; revised from Nashs Magazine, 1934. 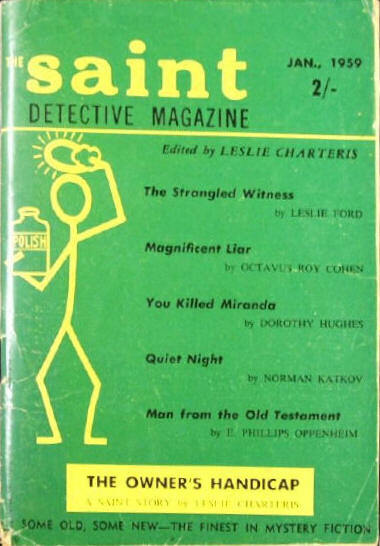 52 · The Late Lamented [Ed & Am Hunter] · Fredric Brown · na The Saint Mystery Magazine Feb 1959; condensed from The Late Lamented, Dutton, 1959. 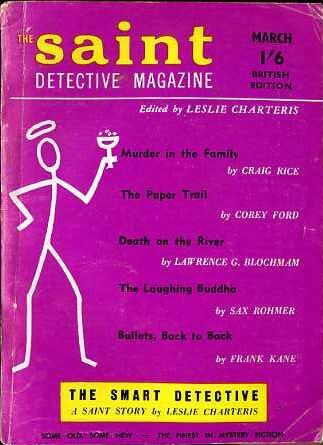 Initially a British reprint edition of Saint Detective Magazine (with variant contents), but later published original material. 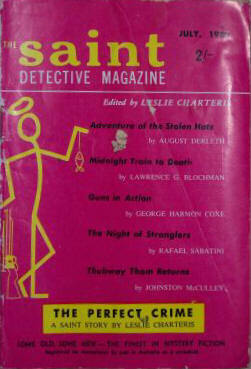 The first series (1954 - 1959) is unusual because it is actually published in Australia for distribution in the UK It appears that most of the issues are identical to the issues of The Saint Detective Magazine (Australia) except that the issues are dated two months later (to allow for shipment to the UK), the volume numbering is changed to match the policy of the UK distributor, the covers are overprinted with British Edition (and the new date and UK price) and there are minor textual changes to the wording on the Table of Contents. 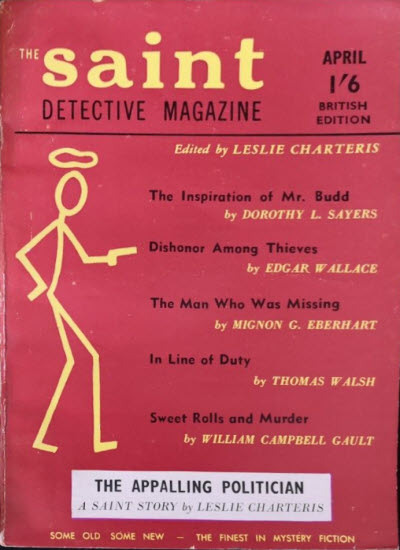 The Man Who Liked Toys [Simon Templar (The Saint)] · Leslie Charteris · ss Boodle, Hodder 1934; revised from a non-Saint story of the same name (The American Magazine, September 1933). 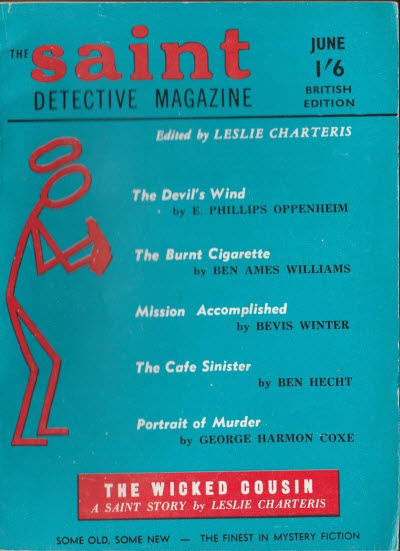 The Cigarette of Death [James Lee Wong] · Hugh Wiley · ss The Saint Detective Magazine Apr 1955; revised from The Room of Death (Colliers, April 13, 1940).